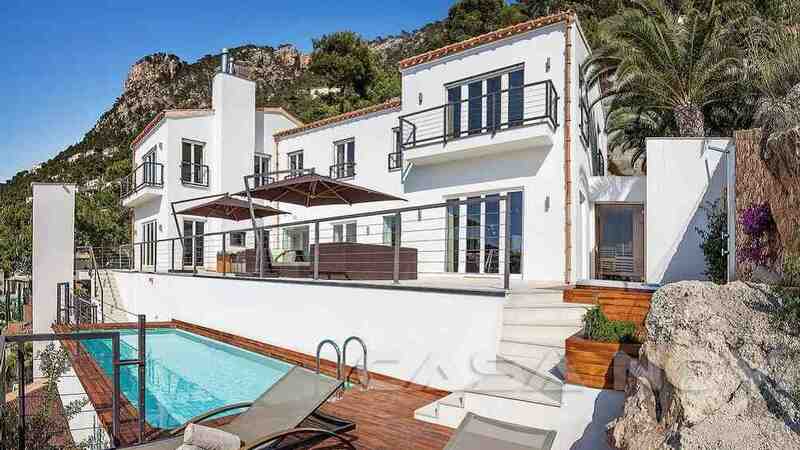 This stunning villa is built on 2 levels in Cala Llamp, Puerto de Andratx with spectacular sea view and is distinguished by its special design and the use of high quality materials. 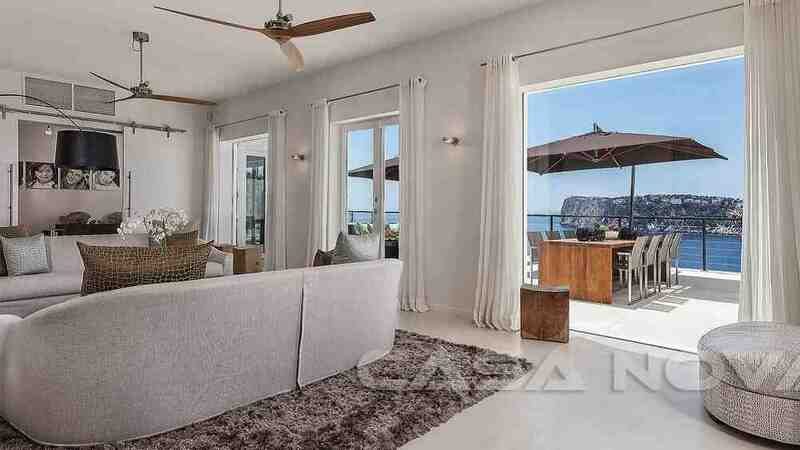 Here you get the opportunity to acquire a light-flooded pearl of architecture, in the form of perfect beauty in the sought-after bay of Cala Llamp. 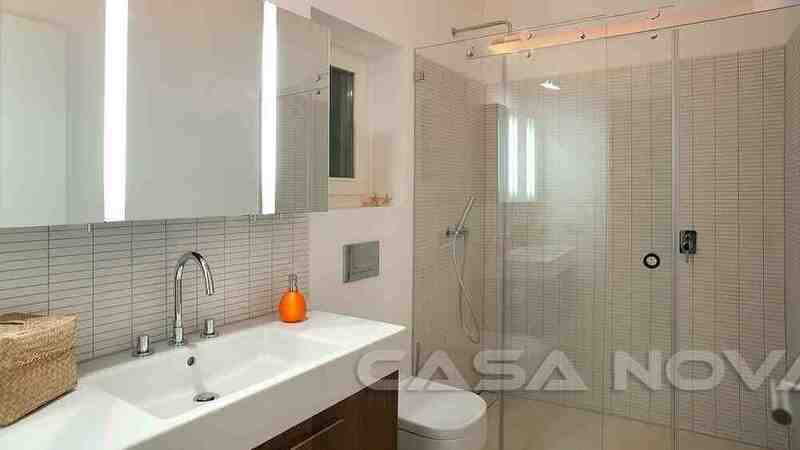 This particular object has only been manufactured with selected materials and customized tailor-made interior fittings. Here all your wishes come true, an office with its own home cinema or the uniquely designed "Boffi designer kitchen" with its “Gaggenau” electrical appliances, which makes every heart, beat faster. 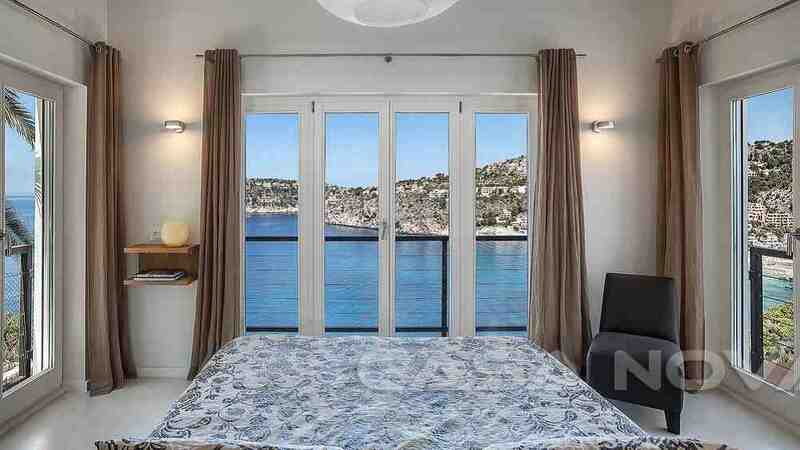 From almost every angle and room you have an unforgettable and unique sea view. 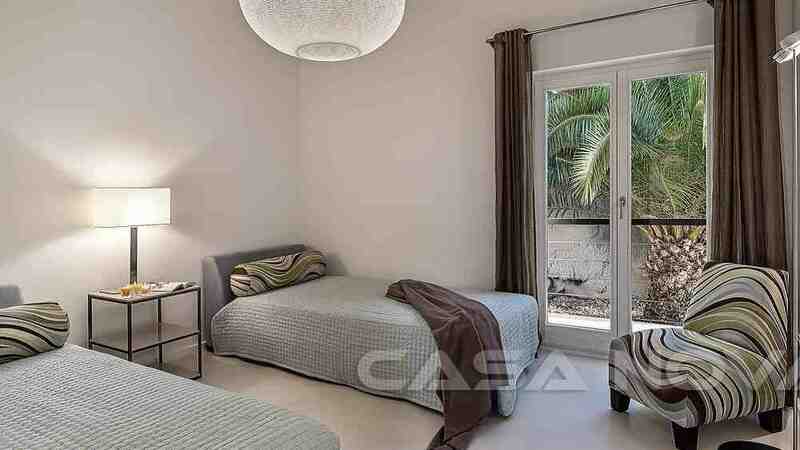 The property offers 4 light-flooded bedrooms with 3 bathrooms and a separate guest toilet. 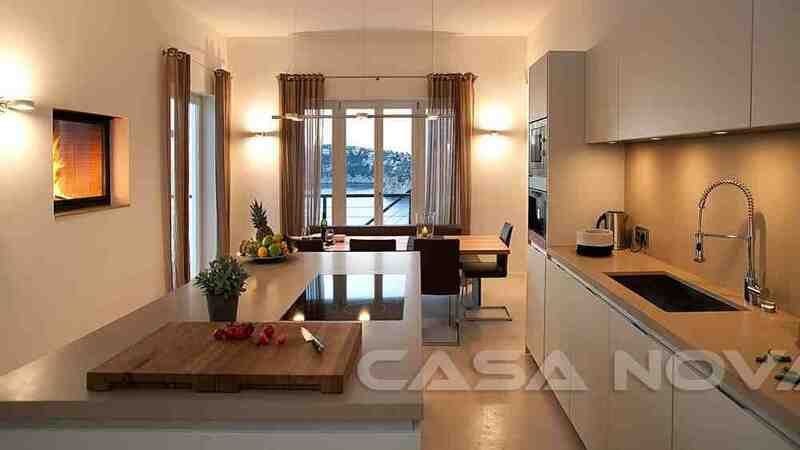 For pleasant cosy warmth also on the colder days in Mallorca, a floor heating from “Wolf” company, it is embedded under the concise “Pandomo” micro-cement floors. 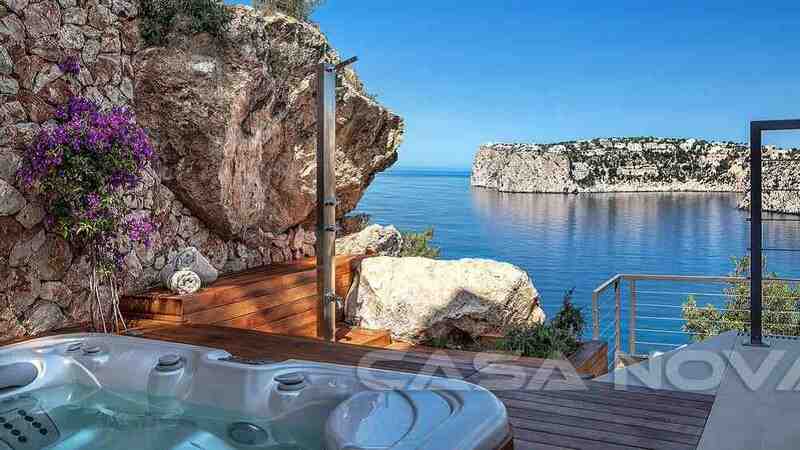 For your perfect relaxation, you got an inside and outside Jacuzzi, as well as an private outdoor sauna. 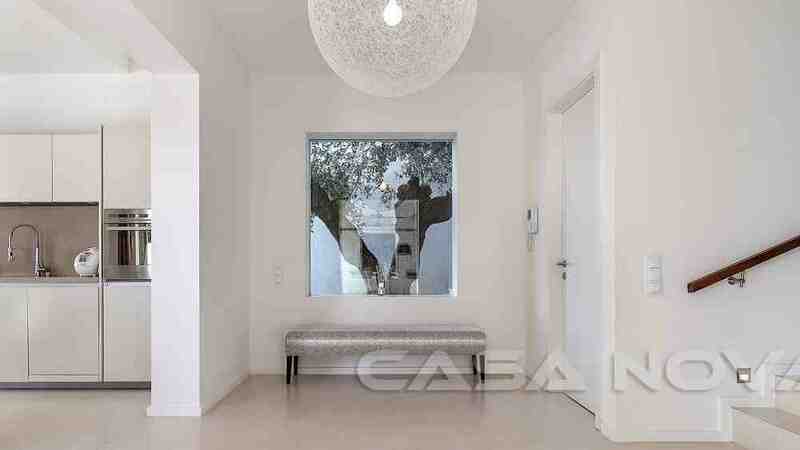 A double garage, an elevator, water treatment with decalcifier and an osmosis system, “Schlotterer Raffstore” shading system, “Bayerwald” insulating glass windows with sound insulation and a burglar-resistant glass, are a matter of course in this breath taken villa. 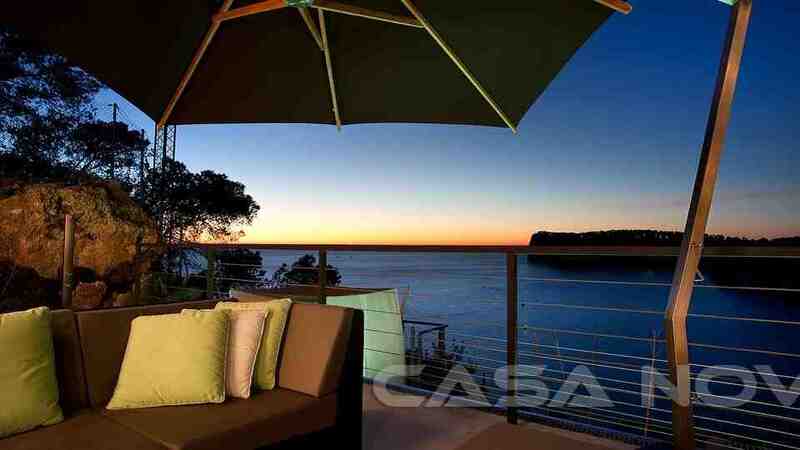 Furthermore, there is a permit for an additional terrace of approx. 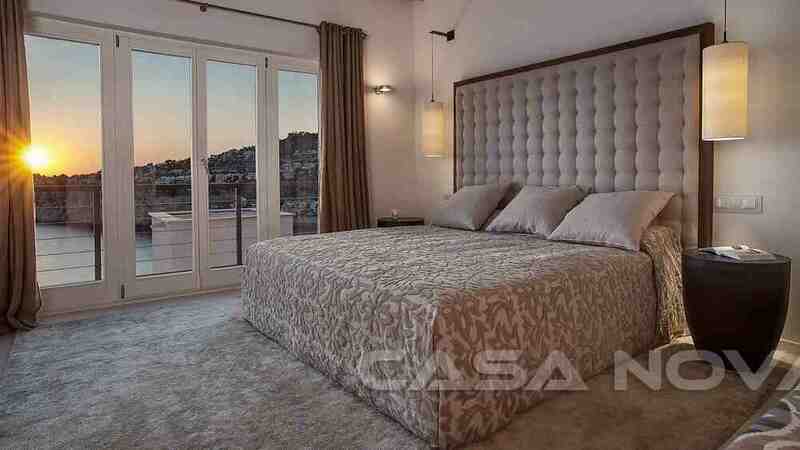 450 m2. 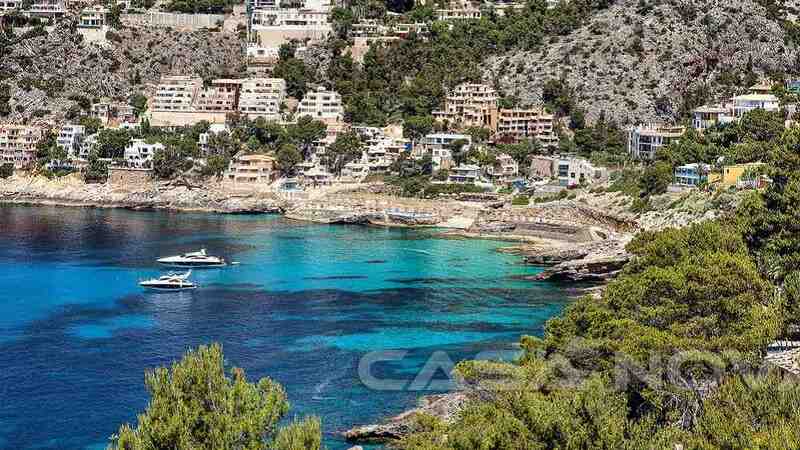 Cala Llamp is a breath-taking bay, only a few minutes' drive away from the popular and most beautiful marina of Mallorca. Here is the place to enjoy an unforgettable dinner or a nice chat with a cool drink by the seaside. The beach club of Cala Llamp must be seen. 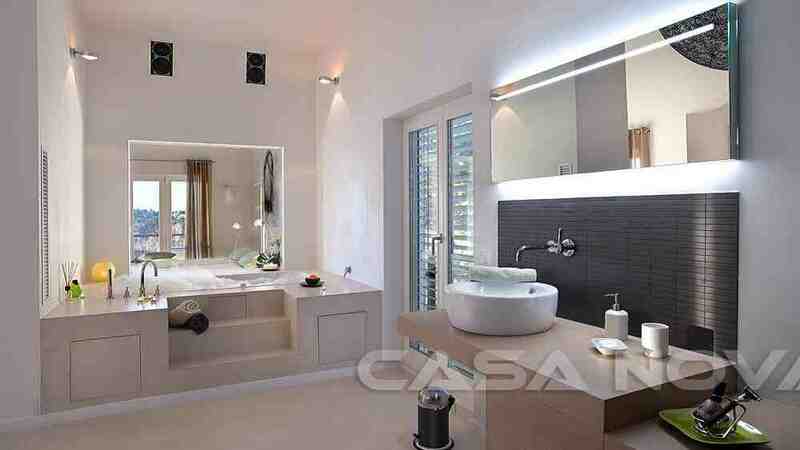 If you would like to call this property your own, please contact your real estate agency Casa Nova Properties Mallorca.